Replacing a gas line is a highly specialized job that should always be left to the professionals. Without the proper knowledge, tools and equipment, gas line repair or replacement is extremely dangerous and can end in disaster. For gas line replacement in Victor NY, trust GT Campbell Plumbing. We’re proud to offer a full range of gas line repair and replacement services in Victor and throughout the Monroe County area. We’ve earned the trust of thousands of area residents, and we’d love for you to come to depend on us for your gas line service needs. The rotten egg odor of natural gas is one of the most obvious signs of a gas leak in your home or on your property, but that’s not the only sign to watch out for. If you hear a roaring, hissing or whistling sound near gas appliances or pipelines inside your home, a gas leak is the likely culprit. Outside, persistent bubbles in ponds and wet areas and dead, discolored vegetation near gas lines may indicate a leak. If you’ve noticed any of these signs of a gas leak, vacate the premises immediately, and contact a licensed plumber for gas line repair. Don’t switch any appliances or electronic devices on or off or use your cell phone until you’re a safe distance away from the leak. At GT Campbell Plumbing, our licensed plumbers provide safe and dependable gas line repair and gas line replacement in Victor NY and the surrounding areas. Using top-of-the-line leak detection equipment, we’ll determine the source of your leak and replace the damaged line as quickly as possible. We have the knowledge and equipment to repair and replace lines inside and outside of your home, and we have technicians on call 24 hours a day, 7 days a week for emergency service. 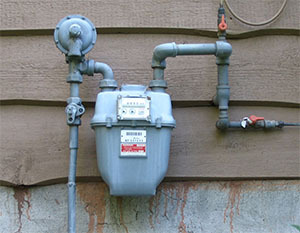 For Victor gas line replacement, contact your plumber in Victor NY today.